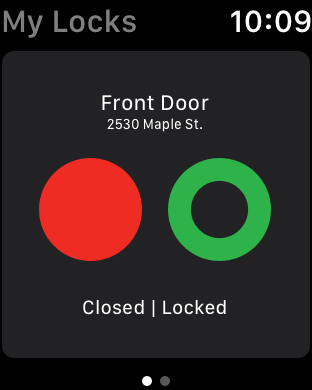 The August Smart Lock Pro and Connect hub work with your iPhone to turn your front door into a smart door. Use your iPhone to lock and unlock your door from anywhere. Give keyless entry to family and friends, or schedule access for housekeepers and other home services without worrying about lost or copied keys. But if you ever do need to use your regular key, you still can because August Smart Lock Pro attaches to most existing deadbolts*. 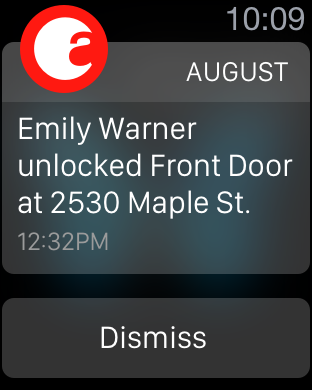 In addition, August's proprietary DoorSense technology lets you know your door is completely closed and locked. 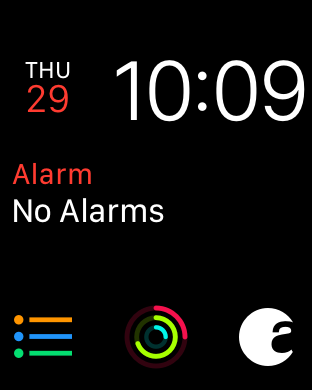 You can even tell Siri to control your August Smart Lock. *August works with most single-cylinder deadbolts but not mortise, rim cylinder, or interconnected locks. I have had this August lock since it came out as it was the only one at the time that was HomeKit compatible ( besides the Schlage lock ) ; and I’ve had nothing I have had this August lock since it came out as it was the only one at the time that was HomeKit compatible ( besides the Schlage lock ) ; and I’ve had nothing but problems with this lock! It not only jams every other week but it is VERY slow . My yale lock that I have installed on 4 other doors have 0 problems , are reliable , and work on command ! Simple command such as “ unlock my front door” worked flawlessly the first MONTH; after that it has been literally one problem after another . Starting from not even turning on because of connection problem between the battery to freezing in the middle of unlocking or locking ; causing me to have to RESET the lock every time ; the August lock has been nothing but problems . I never write negative reviews but this lock is so bad I had to go out of my way to advise others to purchase any OTHER lock besides this one . Is this review useful?Worst smart lock !!!!! There is a serious flaw with this lock that can cause it to unlock after you have been home awhile and without warning. 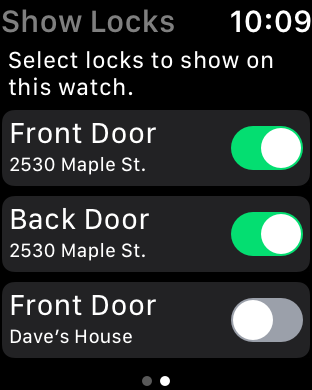 The auto-unlock feature is very slow and There is a serious flaw with this lock that can cause it to unlock after you have been home awhile and without warning. The auto-unlock feature is very slow and doesn’t always work leaving you just standing at the door waiting and having to use the key. Support is non-existent and they will not replace the device under warranty. Works as Advertised. Happy so far. Against the advice of other reviews, I bought this product. As a renter this is the best available solution to installing a smart lock without changing the exis Against the advice of other reviews, I bought this product. As a renter this is the best available solution to installing a smart lock without changing the existing lock on a door. Once I got it installed it is working as advertised. 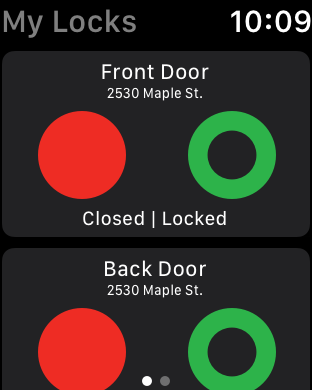 I can lock/unlock the door remotely and I get notifications when the door is locked/unlocked. Unfortunately, since my existing deadbolt was quite old (as well as double-barreled), and therefore incompatible due to a short tail-piece, I had to switch out the existing deadbolt anyways. I think if I owned the property, I would try out the Schlage option, but like I said, as a renter, not wanting my land lord to freak out about me switching out locks, this is ideal solution. Is this review useful?Works as Advertised. Happy so far. Lock and unlock your door with your phone. Give keyless entry to family, friends or even the dog walker. With Auto-Lock and DoorSense™ always know your door is closed and locked. The lock’s compact design easily attach es to your existing deadbolt so you can still your regular keys.